El resto del look es bastante sencillo, jeans y slippers con print de leopardo. Vuelvo a llevar mi maxi- bolso y las gafas de sol que compré en las rebajas de STRADIVARIUS. Podría decir sin dudar, que este tipo de camisetas masculinas son las favoritas de mi armario, con muchas posibilidades a la hora de crear un look, además de favorecer a cualquier tipo de figura. Muchas gracias por vuestros comentarios y visitas., ¡feliz semana!. Hi girls! 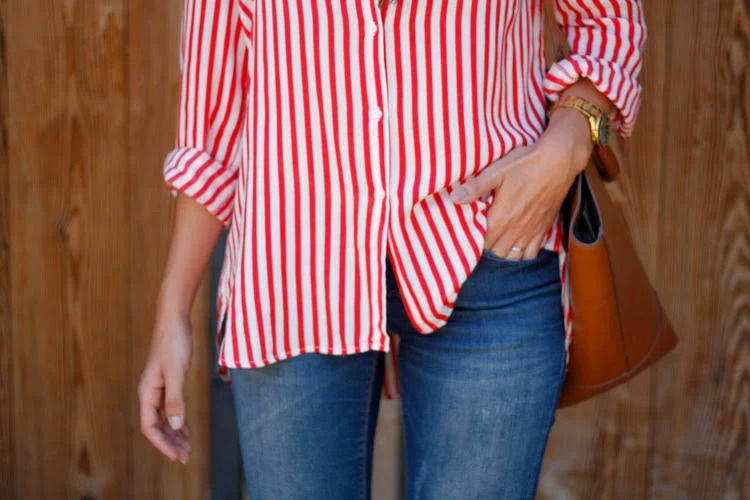 I showed this shirt with red stripes in this post, click here but I like it so much that I'm wearing it a lot, especially on those days where the weather is crazy and you don't know what to wear. The rest of the look is quite simple, jeans and slippers with leopard print. 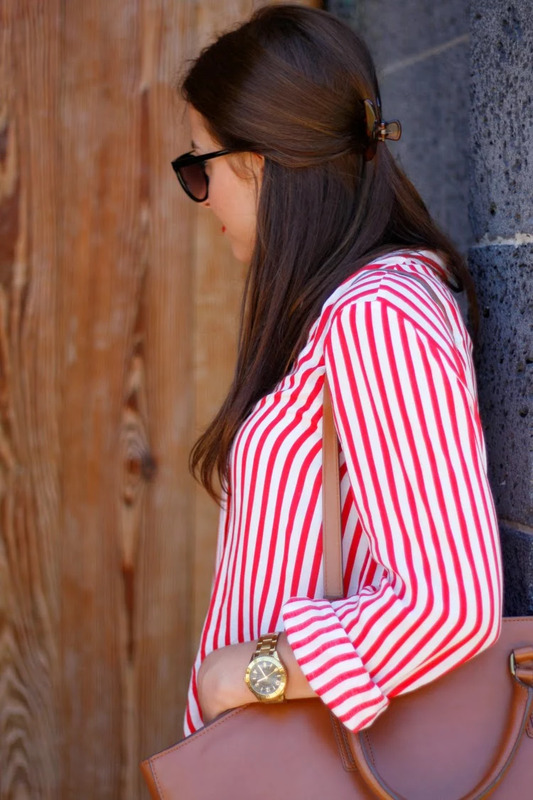 Once again I wear my maxi-bag and sunglasses that I bought in STRADIVARIUS. I could say without hesitation, that this type of male shirts are the favorites of my closet, with many possibilities when creating a look, in addition to flatter any figure type. Thank you very much for your comments and visits., Happy week!.